We’re popping up! 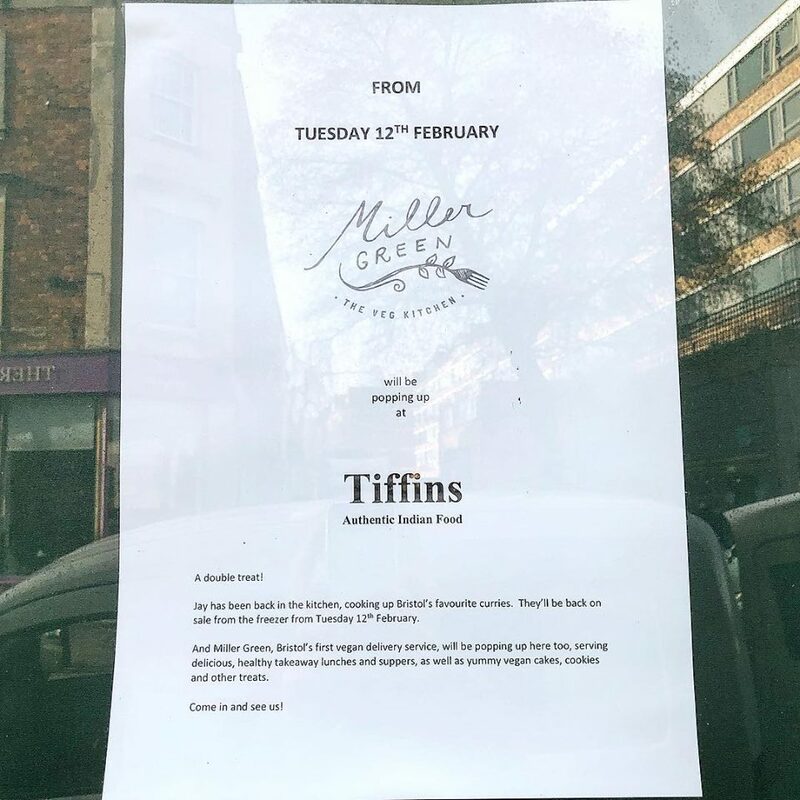 After three years in our basement kitchen we are popping up at Tiffins on St Michael’s Hill from next Tuesday (12th Feb). We’ll be open 11am to 8pm Monday to Friday serving delicious, healthy take-away lunches, suppers and cakes (some healthier than others 🤔). We will also be selling Tiffins’ wonderful frozen curries. Come and see us! We bring together classical and international flavours and techniques to create beautifully balanced vegetable based dishes. Whilst our food is totally vegan, we design dishes with complexity, texture and flavour to appeal to everyone – even the most dedicated meat eater.We cook our dishes fresh each week day in our Cotham kitchen and deliver Monday to Friday between 5 and 8pm. Just check the website to find out the menu for the day and call us any time between 10am and 7pm to place your order, and we’ll deliver your delicious, healthy supper to your door. We will be delivering to start with in the Cotham, Kingsdown and Redland areas but plan to expand our delivery area to more of Bristol as we get into our stride. Let me know if u ever could reach Knowle West or Whitchurch!